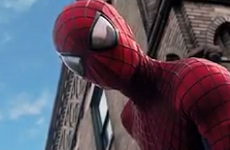 The first official trailer for The Amazing Spider-Man 2 was just released and it looks great, especially with 3 villains. Sometimes people believe a superhero movie suffers when there are too many bad guys, like Spider-Man 3 had 3 villains and a lot of people didn't like it because of the "over crowding." This one definitely looks promising though.